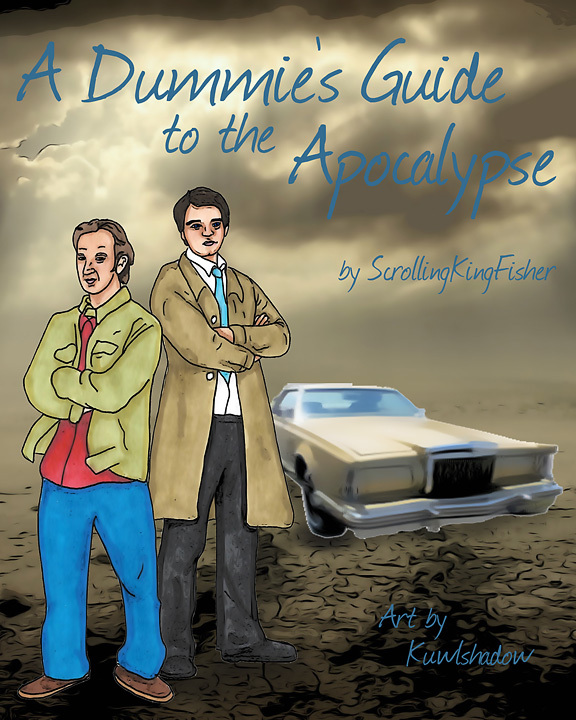 Summary: Before Castiel went to hell, before angels and demons and the apocalypse, Gabriel met the Trickster. Some things change, some things stay the same, but the story is still about a pair of brothers, and how they saved the world. Artist notes: This is a fun "reverse verse" story written by Scrollingkingfisher for the Gabriel Big Bang set in seasons two thru five. It was fun to read and I had fun coming up with an awesome illustration for this story. It was a pleasant experience working with her on this project. It was a great honor to create this illustration for your story and thanks to Gabriel Big Bang mod(s) for this wonderful opportunity! Another fabulous banner! Just what I expect from you!